In the late 2000s, the Republican party was on the down and out. At the start of 2010, Democrats controlled both houses of Congress and had a firm hold on the presidency for at least another 2 years. The Republicans’ future looked no better:, with cities and young populations overwhelmingly voting Democrat, Republicans described their party as ‘wounded’ and ‘adrift’. 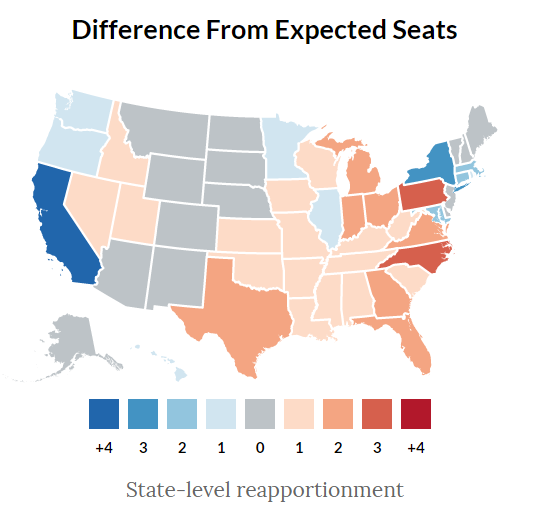 With little hope left, Republicans launched project REDMAP: the REDistricting MAjority Project. REDMAP’s strategy was simple: 2010 was a redistricting year, and if Republicans could sweep local elections, they would gain control over the state legislatures responsible for redrawing the congressional districts, allowing Republicans to come back on a national scale. REDMAP poured money and resources into 2010 local elections and achieved enormous success. According to the REDMAP homepage, the project succeeded in gaining control of 21 state legislative bodies, giving the Republicans control over the redistricting of 25 states. Once they controlled the state redistricting process, Republicans were able to successfully and efficiently gerrymander (redraw in their favor) state’s congressional districts on a mass scale by using new data gathering techniques and powerful computers that had not been available in previous elections. This extreme gerrymandering of state lines proved very effective, and in the 2012 elections, Republicans were able to reverse the balance in the House of Representatives due to the newly drawn congressional districts. In the 2012 elections for the House of Representatives, Democrats received over 1 million more votes nationwide than Republicans, but because of REDMAP, Republicans were able to come out of the election with a 33 person majority control of the House. In Pennsylvania’s 2012 House elections, Democrats won over 83,000 more votes statewide than Republicans, but due to the gerrymandered congressional districts, Republicans won 13 of the 18 available seats in Pennsylvania. The REDMAP gerrymandering of 2010 led to enormous success for the Republican party, but it also had some unintended consequences. Because the gerrymandering was so effective, the actual race for election in each district became much less important than the race for the nomination. This resulted in the polarization of many Republican representatives, as primaries, where more extreme voters make up a larger percentage of the vote, lend themselves to more extreme candidates. The Republicans were not the only ones doing this; they simply had the upper hand in 2010 as they caught the Democrats by surprise. Now, the Democrats are also aware of the importance of local elections and the redistricting of states, and they have developed their own gerrymandering program for 2020, Advantage 2020. It is quickly gearing up to be an arms race for party control of local governments and redistricting in 2020. Although which party will come out on top is unclear, it is clear that if nothing is done, American elections will soon be controlled by the distorted rule of whoever draws the districts rather than by the will of the people. Previous article Hypocrisy in the White House? Shocker. Should Trump Be Messing with the Iran Deal?